I don't watch a lot of football. I used to. But my husband isn't a big sports fan, and it just isn't the priority for me that it once was. However, I am still a fan of my original alma mater, North Dakota State University. They've won three national championships in a row, and this past weekend they were going for four in a row, against Illinois. A friend let us come over, as we don't have ESPN, so we could watch the game. I wore my Bison sweater, we had lots of good food, it was a great day. I watched the game, hoping to catch a glimpse of my parents in the stands, but being rather complacent about the game itself. 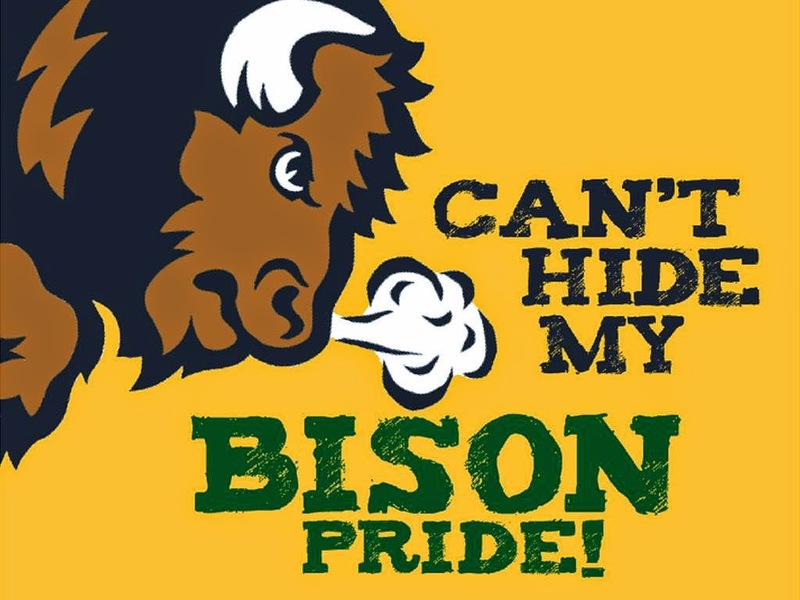 Because the Bison have done so well. I just knew they'd win. After all, for the seniors on the team, they've never lost a national championship. In fact, they've only lost three college games. I didn't expect a nail-biter. Not exactly the makings of a sports movie. Sports movies always feature a team that is down and out. They aren't expected to do well. But they have pluck and determination, and a coach who spurs them on to greatness. They overcome horridly rude opponents, discrimination, awful schedules, and a myriad of other setbacks, and surprise everyone by winning in the end. Or at least that is the formula I'm used to. 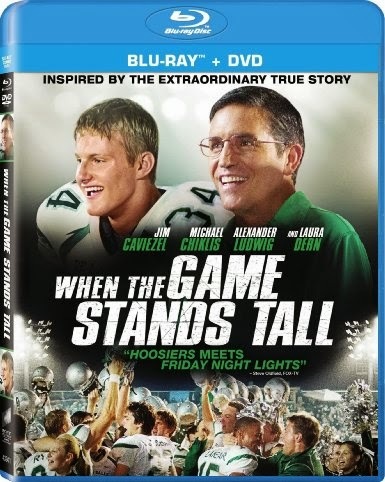 When the Game Stands Tall follows a different formula. It starts off with a Christian high school team who has a hundreds-of-games (151 of them) winning streak going. As in, they haven't lost a game in DECADES. They don't expect to lose anytime soon either, as they have a strong team and great coaches. Everyone expects the streak will continue. Lots of horrible things happen, and the team stops acting like a team. They get away from their fundamentals, which have everything to do with everyone setting goals involving a perfect effort, and a focus on love and family. It was refreshing, really, to have the exact opposite of the majority of the sports flicks out there. This isn't Cinderella finally getting a chance to be noticed. This is the folks on the top, the ones who have everything going right. And what happens when they lose that golden touch. What happens when things aren't going my way? Do I praise God in the storms? Will this team and this coach? We loved the movie here. Family Christian brought another winner to my home for this review.